FAZ-MTN Super League ‘big spenders’ Lusaka Dynamos are chasing after the signatures of Zanaco players. According to impeccable sources at the two clubs, Dynamos having been trying to lure first and second choice goalkeepers Racha Kola and Toaster Nsabata away from Sunset Stadium. The source told the Times yesterday that Dynamos offered Nsabata about K27,000 in monthly salary with a signing fee pegged at K250,000 while figures are unclear as to how much Kola was offered. But attempts to get the players are proving futile as the players still have binding contracts with the league champions though it is believed Nsabata seems eager to leave Zanaco as he went a step further to render in a resignation letter. “Toaster was offered large sums of money and even rendered a resignation letter to Zanaco at the ground after missing one day of training,” the source said. 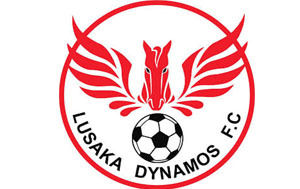 The source explained that Zanaco had a chat with the player and the Dynamos sponsor. “Zanaco have advised the player on his contractual obligation and he is back in training and will be part of the team that will take on Nkana in the Semi-finals of the Charity Shield,” the source said. 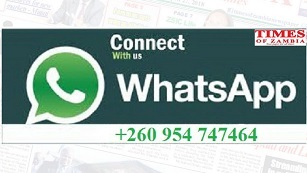 When contacted for a comment Dynamos chief executive officer, Simataa Simataa declined to comment saying he does not issue statements based on rumours while Zanaco chairperson Edward Mutale’s number repeatedly went unanswered. Meanwhile, Napsa Stars beat Dynamos 1-0 in the second game of the Four Teams pre-season tournament at Heroes Stadium in Lusaka. Collins Sikombe scored the all important goal after finishing off a Chitoshi Mukuma pass in the 85th minute as both teams squandered good scoring opportunities. Red Arrows beat Green Buffaloes in the second game with goals coming from Bronson Chama in the 40th minute after powering in a freekick while Daniel Sibanda made sure of the win in extra time. On Tuesday, Napsa drew 0-0 against Red Arrows while it all ended 2-all between Dynamos and Green Buffaloes. DR Congo striker Chris Mungalu scored a brace for Dynamos while Felony Sitonya and Happy Kunda were on target for Buffaloes.